Following the successful first phase application of 65,000m2 HydraCX two years ago, Salix has applied a further 60,000m2 of HydraCX to a large landfill site in Ebbw Vale, South Wales. 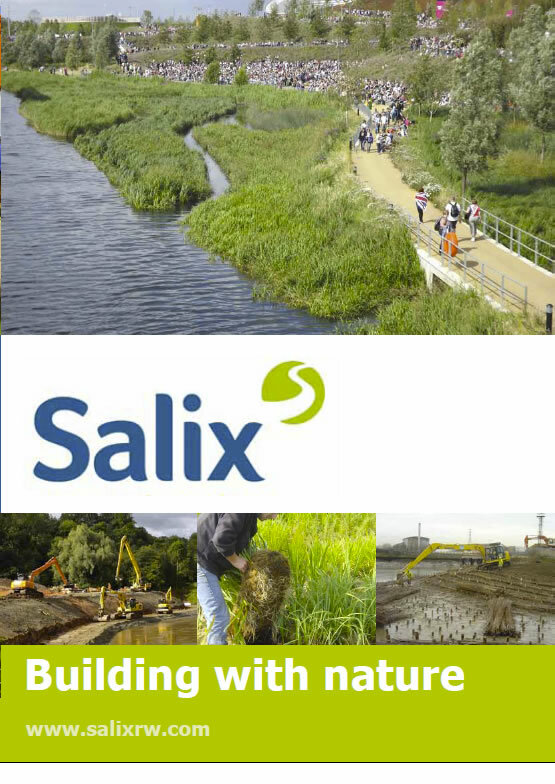 Salix are specialist sub contractors to main contractor Jim Davies Civil Engineering. Landfill slopes are lined to prevent the migration of leachate into underlying soil, ground water, aquifers or nearby rivers. The liner is then covered in sub soil and rolled and compacted with a further layer of soil over the top. On site, the ground conditions are poor with very little fertility within the soil. Salix has applied HydraCX with a specific seed mix to provide short term soil protection whilst vegetation establishes. Tackifiers and polymers within the HydraCX matrix chemically bond the soil particles preventing any soil loss even during major storm events. The ‘all natural’ cotton of HydraCX holds just the right amount of moisture to quickly establish germination and promote vegetation growth for permanent erosion control. It has exceptional, high-performance slope erosion control equivalent to a biodegradable blanket. HydraCX can be installed over rough terrain where voids, tree roots, rocky outcrops and existing vegetation may be present. In contrast, geotextiles need good ground preparation. It is 99.6% effective in reduction of soil erosion under extreme rainfall in independent large-scale slope testing. There is faster seed establishment than any other method. Nutrient rich natural cotton adds significant amounts of nitrogen, phosphorous, and potassium to the soil. HydraCX can be used to reduce topsoil depth or remove the need for topsoil altogether. There are significant health and safety benefits as it reduces the need to access slopes, unlike installing erosion control geotextiles/blankets.